Lazarus Technologies was named after the biblical character that died and was brought back to life. In the mid-1980’s we recognized that clinical and financial enterprise database applications were not integrated and did not provide timely reporting. We set out to develop technologies to overcome these shortcoming focusing on 3 key areas: 1.) Data Modeling 2.) Data Extraction & Automation 3.) 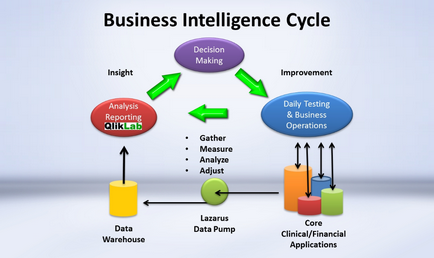 Business Intelligence software development. In 1992 we introduced our flagship business intelligence application MAST (Management Accountability, Staffing & Service Tracker) to the laboratory industry which has since been installed in hospitals and commercial laboratories and has been used to perform 100's of laboratory operational audits over the past 22 years. 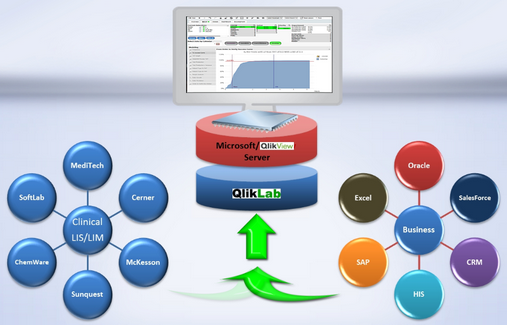 QlikLab is our newest BI tool. Today Lazarus Technologies provides management decision making tools that drive and measure performance. They seamlessly extract data from existing LIS/LIMs (Cerner, SunQuest, MediTech etc. ), integrates it with data from other enterprise business applications and provide powerful real-time reporting that allows you to manage cost while improving service and quality. Our unique approach alleviates cumbersome data collection that managers have to deal with today to get information. It truly brings laboratory information into the 21st century. 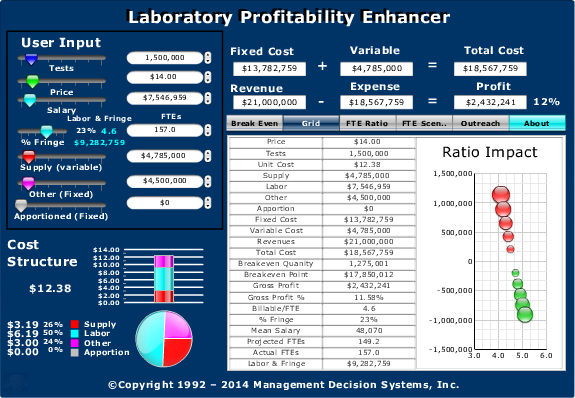 A Business Intelligent application designed by a lab manager for a lab manager! The Business Intelligence Cycle which is closely tied to Deming’s Plan-Check-Do-Act. Management reporting needs are identified from core clinical and financial applications. Required data elements are then integrated into a relational data model in a star schema warehouse. Data extraction and transformation routines are then developed, automated and made available for analysis and reporting providing insight for decision making and ongoing improvement. With QlikLab you combine relevant data from the Laboratory information System and related business applications into a single application whether it is spread across CRM, Financial Systems, data warehouses, databases or Excel spreadsheets. This data is stored in memory and processed on a dedicated QlikView server; a highly scalable, secure, manageable and IT friendly platform. This server is the engine that provides QlikLab to its business users allowing them to perform powerful analyses on their own. The Laboratory Profitability Enhancer is a web based interactive tool that can be customized by our clients with their own laboratory's financial, staffing and test volume information. It examines labor, supply, other costs, net revenue and profitability allowing you to quickly create unique economic performance scenarios.